Rise of the Robots: What Is a Robo Advisor and How Does It Work? Technology has reached the point where it can help you to make money from investments. What is a robo advisor? And how does it work? Learn more right here. Thought about finally starting an investment account but the human interaction gets in the way? Skip the financial advisor and get started in as little as five minutes by working with a robot. Robo-investors are now ten years old, but their popularity exploded over the last three years. In 2015, these companies managed $47.3 billion in assets. In one year, the figure jumped to $98.5 billion. By 2022, analysts predict that algorithms will trade $460 billion in consumer assets. What is a robo advisor, you ask? Keep reading to learn how robo advisors work and how you can use one to grow your wealth. A robo advisor isn’t a robot. It’s a piece of software that makes investment decisions on your behalf. These robo advisors use a combination of artificial intelligence and your data to automatically select investments for you and make changes according to a target. 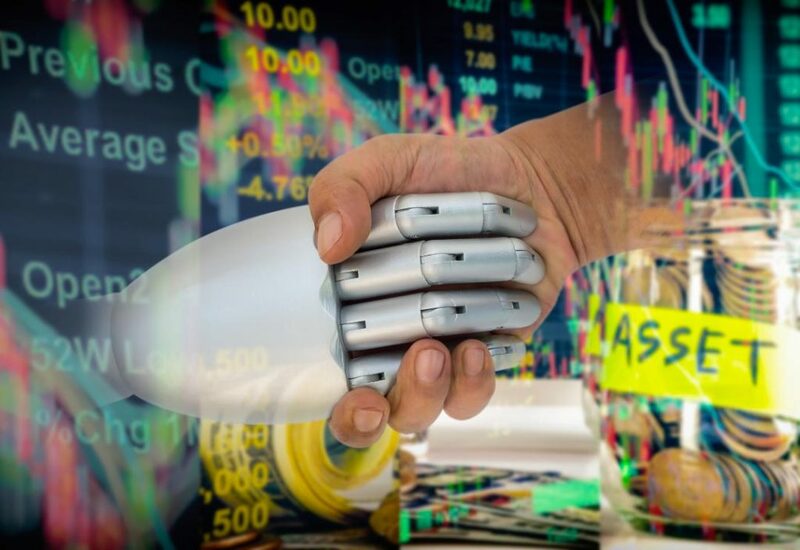 DIY investors or those without the capital to bring to a traditional firm like robo investors because they offer a fix-it-and-forget-it approach to investments. You can even set up automatic withdrawals from your bank account for as little as $5 a month. Robo advisors add ease and convenience to the process, and you might confuse it with a savings account with a little bonus. Keep in mind that all the SEC rules apply. You’ll need to pay taxes on your investments. Withdrawals are also staggered, and your robo advisor platform will wait five days before releasing a withdrawal request. Robo advisors may make investing simple, but you may still want an accountant to make sure you’re paying the correct returns. Robo advisors take all the guesswork out of investing and instead use artificial intelligence algorithms to make informed decisions. The robo advisor then uses your profile combined with your initial and recurring investments to make decisions on your behalf. You can check in as often as you like to monitor your progress or change your preferences. For example, Betterment allows you to choose how aggressively you’d like to invest with a sliding scale from conservative to aggressive. The process removes human error from the process. One of the reasons you lose money as an investor is your poor behavior rather than the behavior of the market. People make emotionally-calculated decisions. The software works with more data than your mind could handle at once, particularly if you aren’t a finance whiz. Do robots take care of your finances out of the good of their mechanical hearts? No, expect to pay services fees just as you would with a living, breathing advisor. Users like robo advisors because fees tend to be lower than finance firms. You’ll typically start with a service fee either as a fixed cost or percentage of your account balance. Fixed fees may range from $5 to $200 per month depending on your balance or portfolio size. The percentage ranges from .15 percent to .50 percent. Fees are a necessary cost consideration for those who don’t intend to invest significantly. You don’t want the cost of the service to outweigh the returns on your investment. For example, you don’t want to spend $15 on an account that only earns you $7. In these cases, you are almost better off with a traditional savings account because the pitiful interest earned adds to your balance rather than costing you cash. Not sure what your returns will look like? Try out a service offering a free trial period to see whether you earn enough to justify the cost. You also now have 100 different robo-advisor platforms to choose from with each offering access and automation for investors of all types. The heavy hitters started as stand-alone fin-tech companies, but traditional investors got in on the action by creating robo advisor products within their investment branches. Having options means you can choose your robo advisor based on your current finances and future goals. For example, Wealthsimple focuses on investors who want a socially responsible portfolio. Ellevest targets women specifically in an attempt to improve women’s financial resources. You’ll also find overall investors that offer something similar to a traditional investment firm with a portfolio mix and access to financial advisors. Things to Consider When Signing Up for a Robo Advisor? Now that you have so many options, you can make a comparison of services to make an informed decision and maximize your benefits. Choosing the right portfolio type is the first port of call. You’ll have the option of selecting between wealth accounts, money market accounts, and retirement accounts. If you’re unsure, ask your accountant or get in touch with one of the robo advisor’s financial planners. Commission and annual fees eat into your profits, so do the math before handing over your cash. Decide what features are most important to you and weigh them against the costs. Finally, robo investors are hungry for your money and may offer sign-up bonuses with an initial investment or a commitment to direct debit. Don’t lead with an attractive bonus offer, but do let it be the icing on the cake. Is a Robo Advisor Right for You? What is a robo advisor? It’s a computer program that takes the pain and emotion of investing. In doing so, it also makes investing more accessible for those without significant savings or specialist finance knowledge. Predictions suggest robo advisors will take over the finance world. Are they right for you? Share your thoughts in the comments below. Ready for more tech news? Click here!